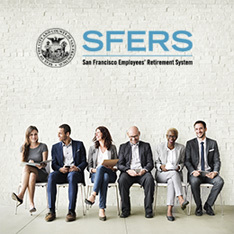 SFERS will pay a monthly continuation allowance to a qualified survivor equal to 50% of the monthly retirement benefit you were receiving on the date of your death. The Retirement System will pay a monthly continuation allowance to a qualified survivor equal to 75% of the monthly retirement benefit you were receiving on the date of your death. 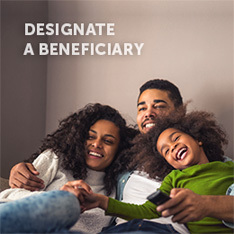 If you retired for industrial disability not qualified for service retirement, effective on the date you would have qualified for service retirement, the monthly continuation allowance will be recalculated to equal 75% of the monthly service retirement benefit you would have received had you retired for service on that date. The Retirement System will pay a monthly continuation allowance to a qualified survivor equal to 100% of the monthly retirement benefit you were receiving on the date of your death. 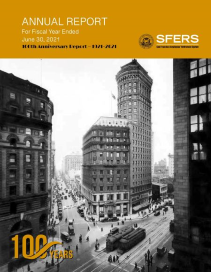 If you retired for industrial disability not qualified for service retirement, effective on the date you would have qualified for service retirement, the monthly continuation allowance will be recalculated to equal 100% of the monthly service retirement benefit you would have received had you retired for service on that date. 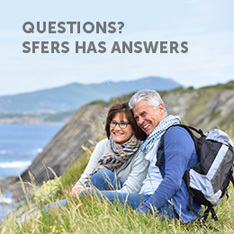 SFERS will also pay a lump sum benefit to your designated beneficiary equal to $100 for each year of credited service you have at retirement, up to a maximum of $3,000.